Dana was absolutely, incredibly fantastic, and did an exquisite job on my birthday party. I wanted something very special and memorable, and she went above and beyond. I gave her couple of ideas, she took it from there and made it all happen. Vila Maska was a great choice, and Dana made sure that everything was running smoothly entire night. I was delighted by a beautifully decorated setting, fantastic menu and wine selection, and cool strings trio playing the background… my guests and I had a fabulous time! Dana- Thanks again for your enthusiasm and level of details in planning and executing everything. Each year BlueCielo organizes a global event for its partners, combined with a global sales kick off for the internal organization, typically happening in January. Around these two major some other events are to take place, resulting in a total of 10 different events in one week. This makes the organization, selection of venues and logistics for the constantly changing configuration of attendees (varying from 15 to 180 attendees) very complex. This year’s event was chosen to take place in Belgrade and for the organization a local contact, speaking the local language and understanding the way business is done is crucial for the success of the entire happening. With the great support of Dana, we were able to give all our partners, employees and top management of our organization a great week in Belgrade. I like to thank Dana for her great support and professionalism to make this complex event a success and whish her a great future with her company. I highly recommend any foreign company that wants to organize an event in Serbia to work with TET. You will not be disappointed! Our yearly company sales kick off/ partner events was held in Belgrade for the year 2017. I wanted to work with a local event organization and luckily I found Dana online. we had an instant connection. Dana is amazing to work with. She is fully dedicated and has many great ideas. The yearly event was a great success, due to the contribution of Dana Petrovic. I would highly recommend Dana in any occasion when going to Belgrade, whether is an even/ tour, or anything that needs organizational support. the event lasted for a week in January, and the preparation started in early July. Dana worked on the event from day 1. She thinks along, comes up with great ideas, is transparent in het communication, and will make sure all is done! Once again Thank you Dana! and I’m sure out paths will cross again. I have had the pleasure of working closely with Dana during the preparation for our week long annual kickoff in 2017 which was held in Belgrade, Serbia. Her flexibility and willingness to assist where and whenever asked for are outstanding. The event has been called as the best one ever organized and that was in no small part also thanks to Dana. This year our company’s annual conference took place in Belgrade. During the preparation and actual event Dana demonstrated outstanding organizational skills. She reacted fast to changing environments, actively contributed to brainstorming sessions for the event, always presented well-structured work/suggestions and kept active and open communication. During the event Dana demonstrated fast-thinking and problem solving approach. Meanwhile, always using opportunity when possible to socialize with the participants of the event. Dana always remained positive, professional.and enthusiastic. I took advantage of an eight-hour layover in Belgrade to have a tour of the city with Dana, and it was a perfect and quick way to explore the city. The tour was an excellent mix of wandering around various neighborhoods, relaxing by the Danube, and hearing about the history of Serbia and Belgrade. Touring the city with Dana was like exploring with an old friend and made me wish that I had more time in Serbia. Highly recommended! My wife and I transited in Belgrade for 12 hours. Ms. Dana (our tour guide) has shown us the best of Belgrade in 10 hours. We have the opportunity to visit several places like St. Sava Church, Knez Mihailova, Belgrade Fortress, Zemun, Danube River as well as taste local foods during lunch. Besides visiting the morning flea market, we also able to buy souvenirs for our relatives back home. Such an interesting journey. Ms. Dana is very friendly and informative. She briefed us all that we want to know about Serbia’s history, culture, economic and political background. Must try! My name is Jelena Sivulka, and I am director of a nonprofit organization in Novi Sad, Serbia. I have used TET services in the past two years to help me find a location for our Family Camp for kids with special needs. Dana Petrovic (founder of TET), was great, professional, communicative, and effective. It was pleasure partnering with TET and I will strongly recommend their services. Dana was our tour guide for a half day Belgrade city tour. She showed up on time and the car was spotless. Dana was very attentive and started out asking us what we would like to see so she could arrange the tour accordingly. She patiently answered all of our questions along the way. We saw so many cool and historical places in Belgrade. She even took us to a super cute off the beaten path cafe so we can take a break and have a cup of delicious coffee. She is very easy to communicate and full of knowledge about Serbia and Belgrade. The experience was wonderful. Highly recommend ! 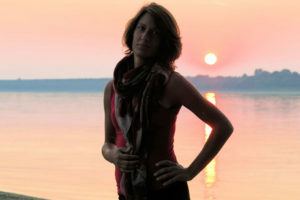 Dana is one person to look for if you are touring Serbia. She was just genuinely enthusiastic to immerse your travel on both the historical, contemporary and commercial aspect of the city. There were so many Trivia information that is not usually given much value in tour books. Dana was like a family showing you around. It was a relax and homey experience!